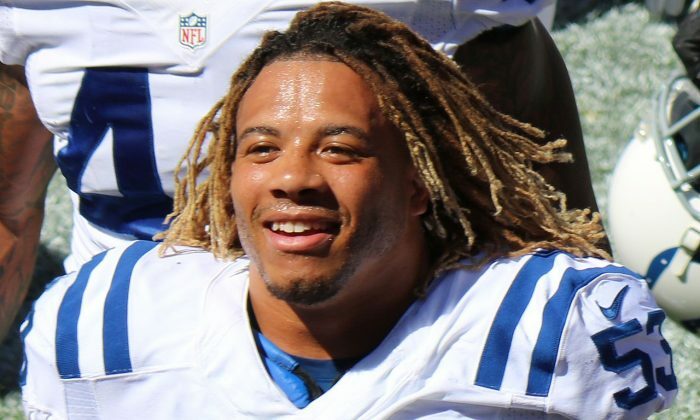 After news broke that Indianapolis Colts linebacker Edwin Jackson died in a car crash on Sunday, Feb. 4, it was revealed that the suspect is a Mexican national wanted by federal immigration authorities who was driving drunk. Alex Cabrera Gonsales, 37, drove his truck on the emergency shoulder of the highway, hitting Jackson and 54-year-old Jeffrey Monroe. He apparently hit a ride-share vehicle, according to the Washington Times. The Times reported that charging documents do not show whether Gonsales, who is subject to deportation, is an illegal immigrant. Gonsales didn’t have a driver’s license, according to the report, and he tried to flee the scene of the accident with a blood-alcohol level of more than 0.15. Gonsales “has a detainer request on him, does not say whether was in the U.S. illegally or as a legal permanent resident who can still be deported for a serious crime,” according to the Times. Jackson’s family released a statement about his death.